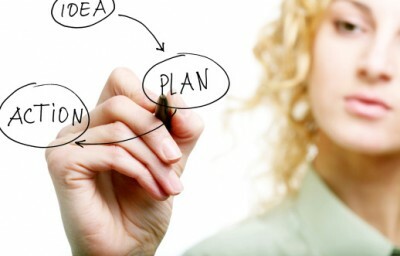 DEPENDING on where you are in your career as well as how you feel about making “plans” for your life, creating a career plan may or may not be a welcoming idea. However, it is a step that is vital to ensure you are focused on your career objectives and are taking the right steps along the journey to get there. A career plan can be whatever you want it to be. It can be a short-term or a long-term plan, or both. That is the beauty of it — you get to decide. It is your plan. First, you want to have an end result. What are you trying to achieve? It might be the next job or assignment you want to reach in the next 12 months, or it might be the ultimate C-suite position you are trying to reach in the next five years. This is the objective of your plan, and by establishing it, you set your plan’s foundation. Next, identify your strengths. These are the areas you can leverage as you work on reaching your career objective. Next, you want to identify the areas where you need to develop. Perhaps you already know you need to develop a specific skill or you need leadership training to reach your objective. But if you do not know where you need development, take some time to find out. Talk to leaders and colleagues whom you work with and respect and ask them for some feedback. You can also get a mentor who can help guide you as you put your career plan together. This person should be someone who can help you determine where you need to develop and provide guidance on how to achieve your objectives. An essential aspect of the career plan is to weigh it against your values and motivators. Are you striving towards something that matches what you have identified as your values? Are you motivated by the prospect of developing and growing into this career objective you have set? Hopefully the answer is yes, but if it is not, then take some time to reflect and revise so you are creating a career plan that matches your values and motivates you. This will ultimately keep you satisfied with your career. Another item to note is that career plans are not permanent. Therefore, they should be revisited frequently (on an annual basis, at a minimum). This allows you to assess how you are doing against your objectives as well as assess whether or not you are still on a path most satisfying for you. Your career plan should be revised accordingly. Remember, that is the beauty of it — you are in control and you get to decide. It is your plan.